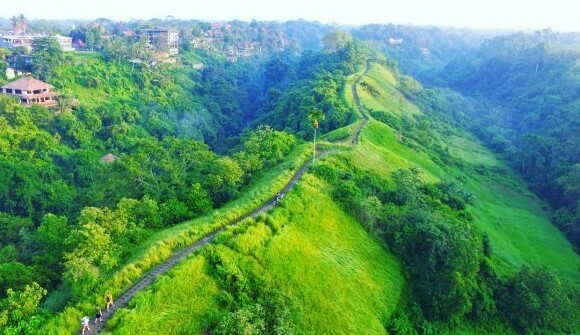 Just as the hills of Campuhan Ubud offer beautiful hillside scenery, with valleys lined with weeds, and river views on the western side of villas on hillsides between tropical trees, as if they look like rural clusters, green valley on the East side also looks so enthralling. The hills flanked by these two rivers are indeed able to make you chuckle in awe. 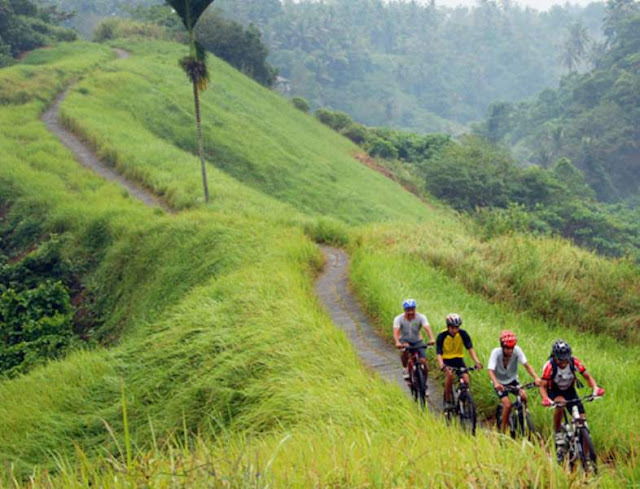 Ubud is one of the popular tourist attraction in Bali, famous for its artistic village and its natural beauty, a number of tributaries, beautiful rice fields and valleys, as well as hills like Campuhan hill which is a visiting destination by tourists who live in Ubud. As an art village, Ubud presents popular artworks, such as painting, sculpture, and dance. 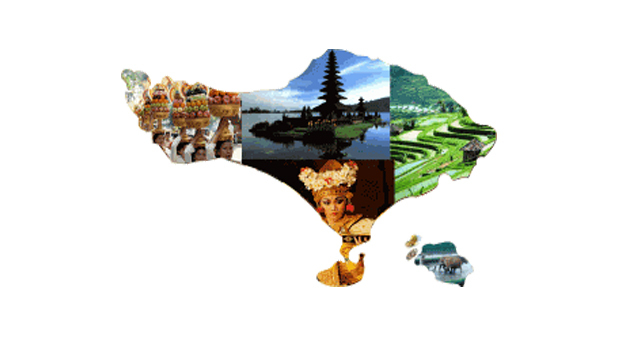 So it is not surprising that Ubud became the center of museums and art galleries as well as the Bali dance hatchery frequented by tourists. 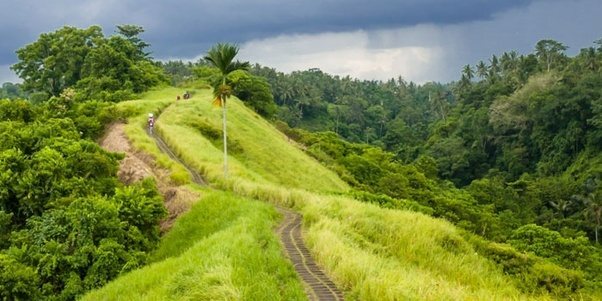 If you like the beautiful scenery of the mountains, then the right location is Campuhan Hill Ubud, this tourist attraction filled with weed grass and jogging grass lines are equipped with a width of 1.5 meters at the top of the hill, and the length of track trekking about 2km this then you will be quite satisfied with the natural beauty presented. In addition to the unique scenery grass that looks green, also the beauty of the Campuhan river valley with tropical trees look green developing, across the river looks terraced rice fields. Requires a different atmosphere in your holiday in Bali, then you can drive your vehicle to this Ubud area. Arriving at the location you can rent a bike and start trekking tracks that have been prepared, no fewer interesting if only walk alone, enjoy fresh mountain air that you rarely find elsewhere. Campuhan Hill is a special place to feel the natural beauty of Bali, this trekking activity does not need to drain your energy, you can enjoy the incredible natural scenery. If you are familiar with the nature of the beach, or the center of the crowd like Kuta, Legian, Tanjung Benoa or Denpasar, then to keep away from boredom in order to enjoy peace, tranquility, and beauty and with refreshing. then Campuhan hill will be your best recreation place. By domestic tourists, this trekking place is better known by the name of Campuhan Hill, among foreign tourists known as Campuhan Ridge Walk, and by the surrounding people are also known by the name of Mount Holy Mountain Bees. At the front of this hill there is a magnificent temple standing planted Pura Gunung Lebah, from where you start the trekking trip to the hill Campuhan, this area including the area (start point) sacred, so keep your behavior and your speech. This beautiful place beside as a tourist spot trekking either on foot or by bicycle paddle, sometimes used as a place of meditation to calm the mind, also of course as a place of spectacular photos and as a place of pre-wedding photos. To visit this place is a free admission fee. If planning to visit Campuhan Hill, come in the morning or afternoon, unless you want to feel the heat of the sun during the day, because of the lack of shelter. This place is suitable for a recreation of children and elderly. 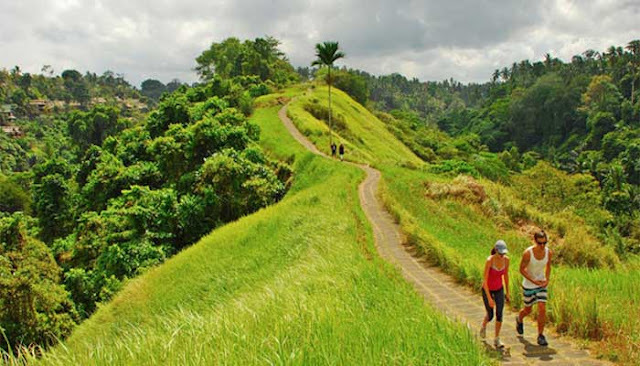 Located in Ubud, certainly, a lot of tourist attractions around you can visit because Ubud has a myriad of beauty that you deserve to make the experience while traveling in Bali. Approximately 10 meters from the parking lot of the vocational school, there is a temple called Pura Gunung Bee, if take the road to the left then towards the main gate to the temple, then take the road to the right side of the temple that leads you to the start point to the trekking road to Campuhan Hill , the length of the trekking track about 2 km, with various beauties, presented. 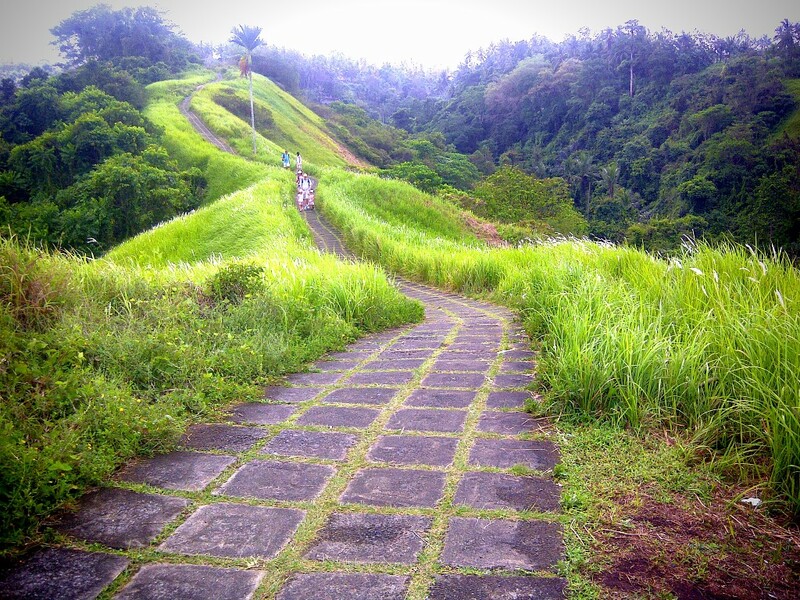 So the start point towards the jogging track of Campuhan - Ubud main highway is about 40 meters. There are no food and beverage stalls on the trekking track on Campuhan Hill, bringing little supplies is a good idea, as long as the waste is in place. Choose your way to visit, can join the tour package or rent a vehicle either by car or motorcycle.